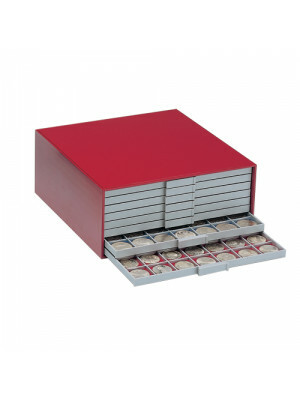 Plastic coin drawer with 9 fields for coins up to 81.4 mm. The maximum height of the inserts is 9 mm, so it is also suitable for coin capsules. Order separate red or blue felt inserts of appropriate size for safer coin storage.